Road accidents make the news on a daily basis, but they are often dismissed as “just another one of those incidents”—that is, until the accident happens to someone the community considers to be more vulnerable than usual. Take the case, for instance, of Jeana Margaux Balintisayo, a 7-year-old grade 2 pupil of Sta. Cruz Elementary School, who was killed after she was hit by a car near the school premises a few days after school reopened. 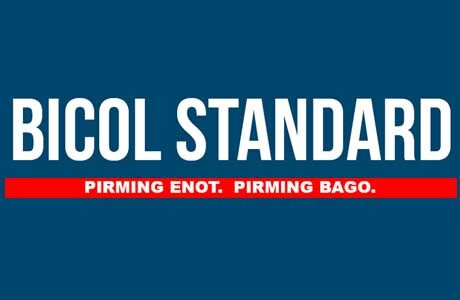 Bicol Standard’s source said Balintasayo’s father had just taken his daughter’s lunch to her a few minutes before the accident. Jeana, the source narrated, asked for two pesos from her father to purchase something from the store near her school. Allegedly, she did not see the car coming because she was focused on a pedicab that was also on the street. Jeana’s story went viral on social media, prompting parents to hug their kids and heap words of love to them. The incident, which was caught on CCTV, was one that could have happened to anyone’s child. As expected, there was a lot of finger-pointing after the incident. Netizens took to Facebook to put the blame on the authorities and community and school leaders, who they said should have made the school zone safe. But the blame game, however, does not recover the life of Jeana, nor does it console the family and friends who lost her. What it does achieve, however, is a renewed focus on road accidents, and the vulnerability of children in such incidents. The World Health Organization says that road traffic injuries are a global public health problem, what with about 1.3 million people dying each year on the world's roads and between 20 and 50 million sustaining non-fatal injuries. Taking a proactive stance towards road safety is the Land Transportation Office in Bicol, under the leadership of Regional Director Atty. Noreen San-Luis Lutey. For year, San Luis-Lutey has rallied for road safety education, stressing that it should be introduced as early as the formative elementary years, because it is the youth who will one day become road users. Under the Students Today, Road Users Tomorrow program, the Regional Director partners with schools and the private sector to educate the public on road laws and general road safety tips. Road accidents are common, but they are also preventable if proper safety measures are taken into account. These include, as WHO says, following traffic rules, controlling speed, avoiding drinking and driving, wearing a good-quality helmet, wearing a seatbelt, and using appropriate child restraints. Access to timely and effective emergency care after traffic crashes, as well as ensuring that vehicles and road infrastructures meet high standards, are also necessary measures in preventing accidents. Lastly, it should be underscored that road safety is not the sole responsibility of the LTO, or any other government agency. The entire community should participate in the campaign by taking to heart each person’s responsibility in keeping our roads safe.